All of my family and friends are aware that I am a massive foodie and particularly love Japanese food and ramen so I am lucky that I quite often get all sorts of exciting gifts along the theme. 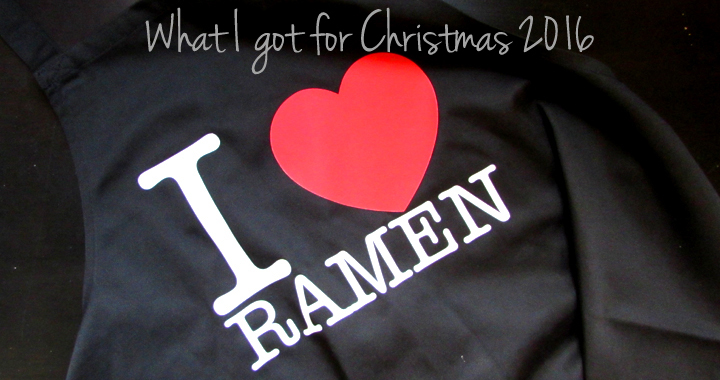 This year was no exception so I thought I would share with you some of the great gifts I got. Last year I was lucky enough to get a red Kitchenaid artisan mixer from my husband for Christmas. This Christmas he got me the spiralizer attachment for it, after we saw a video on Facebook of someone using one. 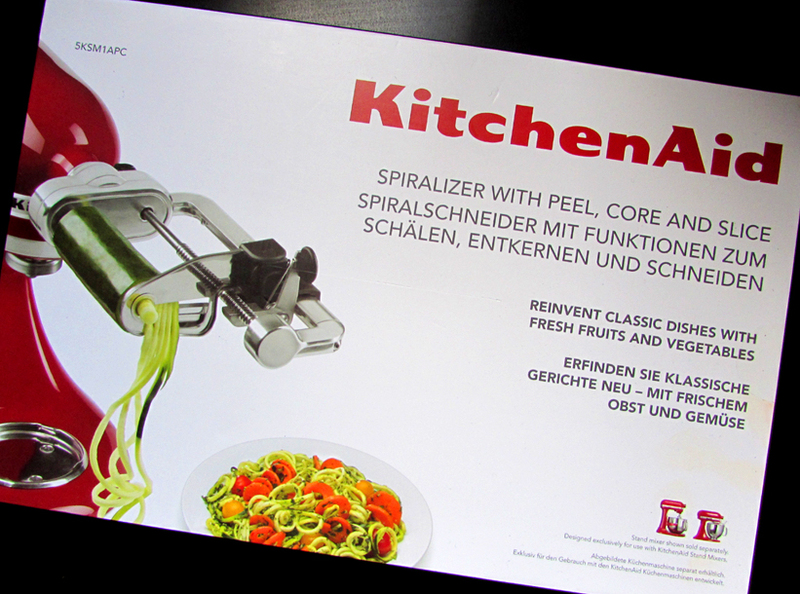 What I’m really keen to do is for a lighter, healthier ramen or noodle dish, to replace the noodles with vegetable spiralized noodles. I’m really looking forward to trying this out! Look out here in January for a post-Christmas healthy vegetable noodle ramen recipe. Every birthday and Christmas I get several cookery books, which is great as my love of them is well known and I love flicking through recipes to admire the pictures and bookmark the ones I first one to try. Bone Daddies is a ramen bar I have heard of but never (yet!) visited, yet I love the quirky layout of the book (being Japanese themed, it is back to front) and the breakdown of recipes, including sides and accompaniments. 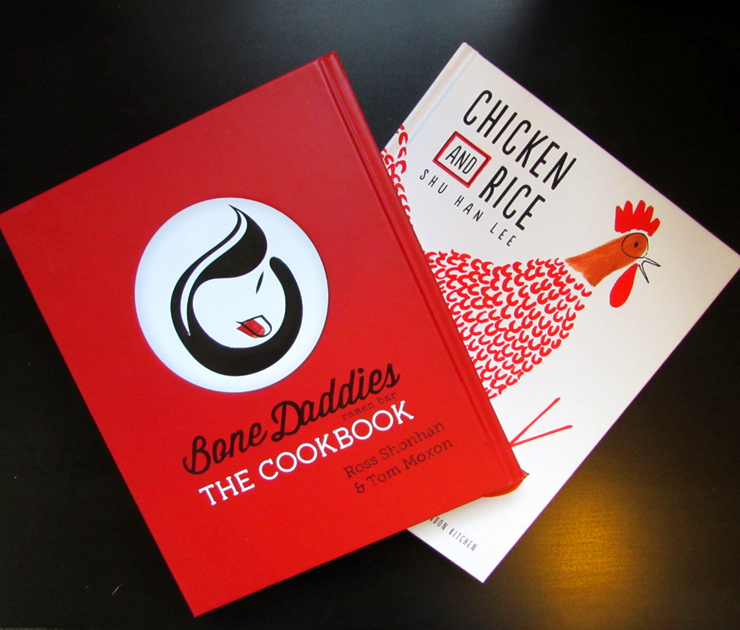 The Chicken and Rice book I have wanted for some time as I follow Shu on social media with her Mummy I Can Cook blog. Her book is full of traditional Chinese fare, but it is her passion for her recipes and food that shines through the book and makes you really want to try her food. I’m looking forward to cooking up recipes from both of these books. I laughed when I opened this apron from my work colleagues. I don’t think either of them had even heard of ramen before I started talking about it (a lot! ), but I have now cooked up my miso ramen for them at a dinner party. 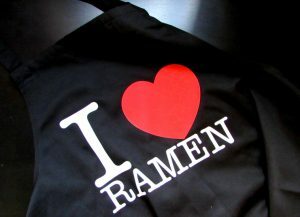 This is the perfect apron for wearing while cooking up some ramen, especially if you are as clumsy as I am and very prone to splashing broth down your front while stirring enthusiastically! Another gift from my colleagues was this set of Ken Hom bamboo utensils. 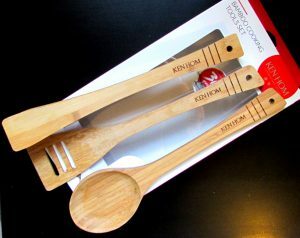 With a big spoon, perfect for ramen broth stirring, a set of tongs which are great to serving noodles and a slotted spatula which I now will work well for stir-fries, this is the perfect oriental utensil set! It is no secret that as well as loving ramen, I also love tea. And nothing works better alongside an oriental meal than a nice cup of green tea. 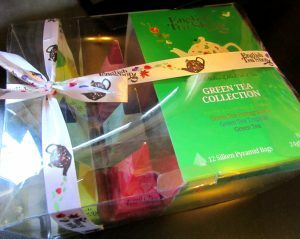 I love this green tea gift for its beautiful packaging (I do love pretty packaging!) and its interesting selection of teas. 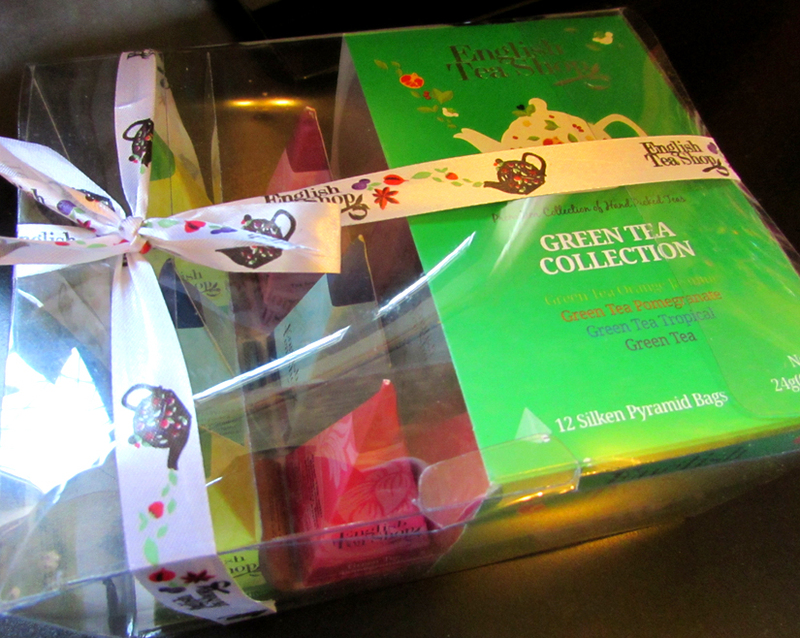 I have already tried the pomegranate green tea, which had a lovely fruity flavour. Also in the box are orange jasmine, tropical and traditional green teas. Both mine and my husband’s families have a tradition of filling Christmas stockings to open first on Christmas morning and we still do this even as adults. My husband filled mine this year with a few Japanese items from Japan Centre- matcha Pocky, grape flavour sweets and a bottle of blueberry ramune. 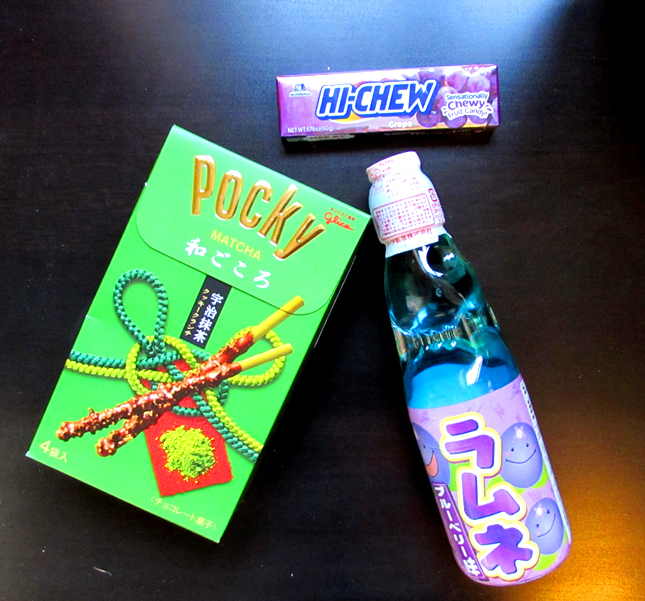 I love Pocky sticks but have never tried matcha flavour and love the packaging! I also love the artificial grape flavouring, as strange as it is, that features heavily in Japanese sweets and drinks, so look forward to trying the grape sweets. Finally, ramune (a Japanese soft drink) is something I always order in Japanese cafes and restaurants, if it is on the menu, as I love the quirky flavours and the bottle with its marble that you have to pop into the bottle before you can drink it. Posted in Guides and tagged Christmas, Gifts.